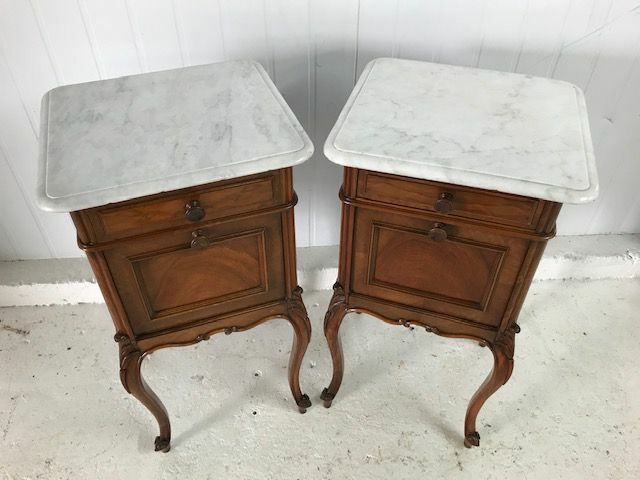 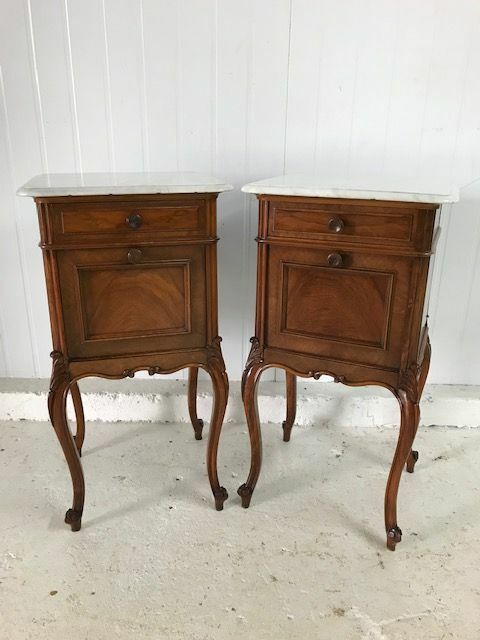 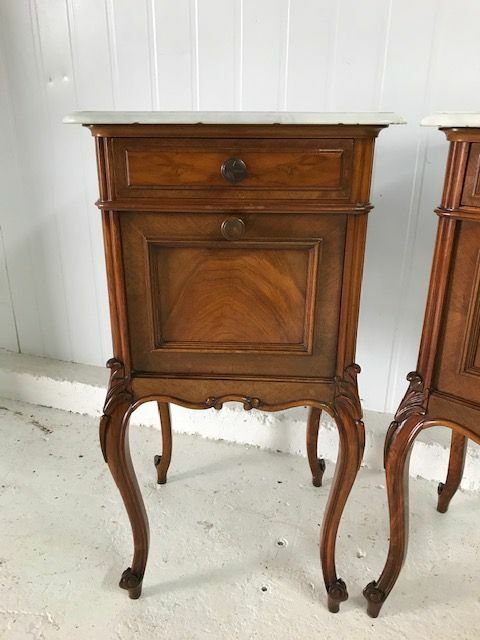 Offering this pair of lovely Antique French bedside cabinets. 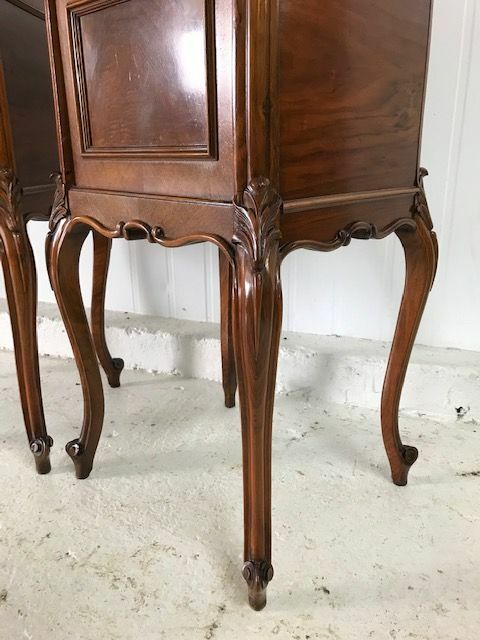 Measures 43cm wide x 43cm deep x 84cm high. 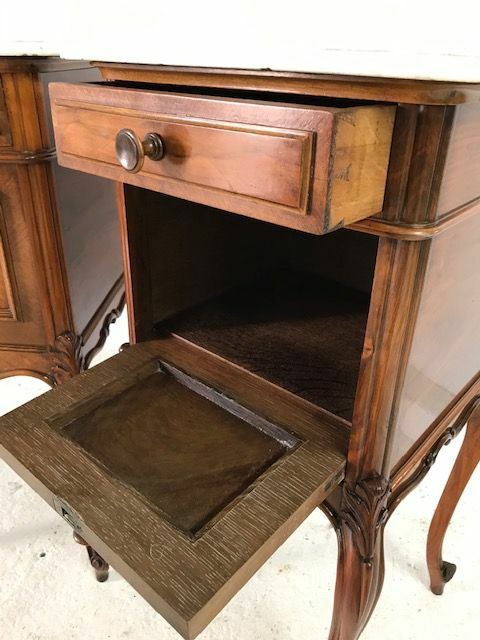 Delivery available - please ask for a quote.